MicroRNAs regulate genes involved in various biological processes and may play oncogenic or tumor suppressive roles. 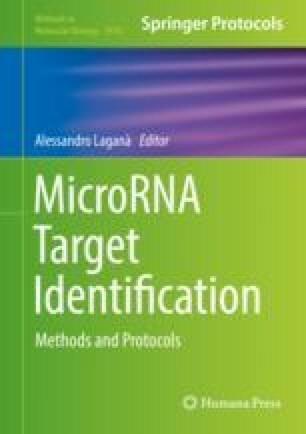 Many studies have investigated the relationships between microRNAs and their target genes using mRNA and microRNA expression data. Integrating different types of molecular data could lead to a better understanding of the regulatory network of disease-causing pathways. For this potential to be fully realized, methods for properly integrating omics data are necessary. Here, the computational methods for addressing these challenges are described, and key considerations for analyzing and interpreting profiling data are discussed.